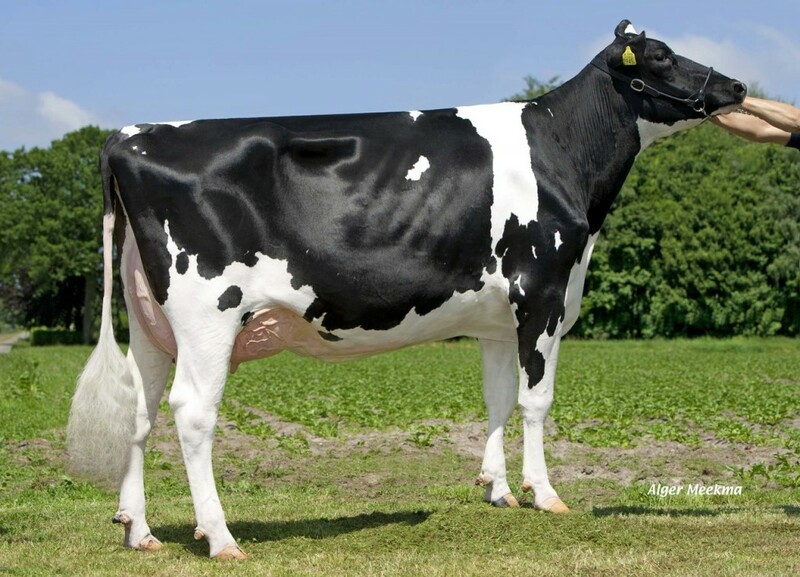 Het Modest Willie was the highest new heifer of the European April '17 GTPI index run and is the #6 GTPI Modesty daughter in Europe. Willie is owned by Hurkmans ET and has a great combination between total index (GTPI +2776) and type with +2.58 PTAT and almost 3 points for her udder index. She has a great pedigree as a Modesty from a Numero Uno x Aftershock going back on the good old Whittier-Farms Lead Mae EX-95-USA!